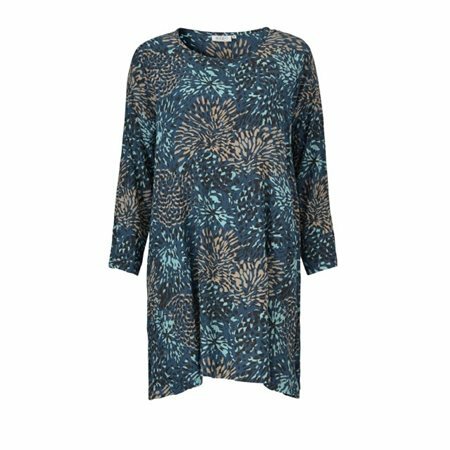 This beautiful patterned tunic by Masai Clothing in slightly crinkled viscose features a rounded neck, long sleeves and an A-shaped design, so it falls beautifully and loosely over the body. The aqua tones are complimented with teal green, khaki and black. It also features discreet slash pockets at the sides perfect for just slipping your hands into.